"June 21st, Uptown, is the Father's Day edition of the Vintage Garage. If your Dad is cool, he'll want to come hang out with us and replace the records Grandma sold at her yard sale or that special album, destroyed at the party you had in 1985. June is our Record Ramp show. 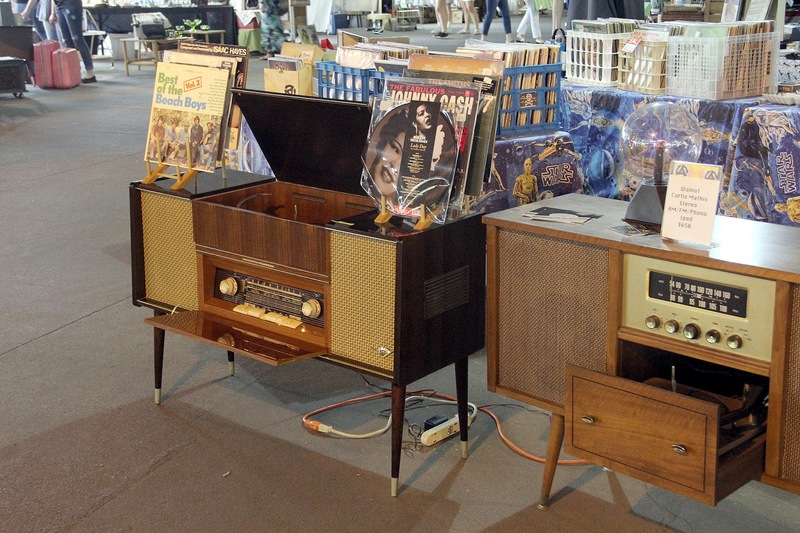 Besides the usual great merchandise seen across the spectrum of vintage our dealers bring out the vinyl, stereo and musical gear they have been hoarding for this show. If Dads been thinking about getting the band back together, make him drive. In its 4th seasonm the Vintage Garage is Chicago's only all vintage market and draws vintage lovers from all over Chicago and beyond. 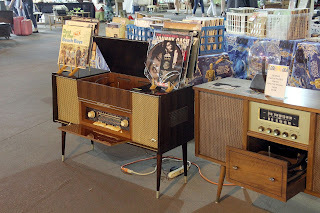 With 100 vendors specializing in all things vintage, it's awesome and not your typical BBQ. After the show, North Broadway in Uptown is chock full of cool things to do with Dad. Stop at Shake Rattle & Read and ask Ric about the time his sister's took him to see the Beatles or that time he saw Led Zeppelin on a small stage in Cleveland. He's located at 4812 North Broadway, just north of Lawrence. Stop for a drink at the Green Mill Cocktail Lounge and check out a piece of Chicago history. The Green Mill was and still is a legendary jazz club from the Al Capone era. It is known as the city's oldest night club and you can sit in Capone's favorite booth with clear views of the front and back entrances. It is located at just south of Shake Rattle & Read on North Broadway. If Dad likes Chicago architecture there are some great spots in Uptown. Check out the facade of the Uptown Theatre at 4703 N. Broadway or the amazing Uptown Broadway Building at 4707 N. Broadway in Chicago. 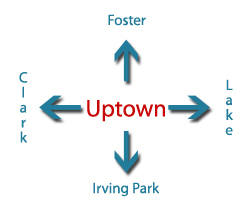 This link will take you to a pretty solid page about Uptown and its landmarks. The 2015 Vintage Garage dates are April 19, May 17, June 21, July 19, August 16, September 20, and October 18. We are located at 5051 N. Broadway in the big parking garage. 3rd Sunday of the month. 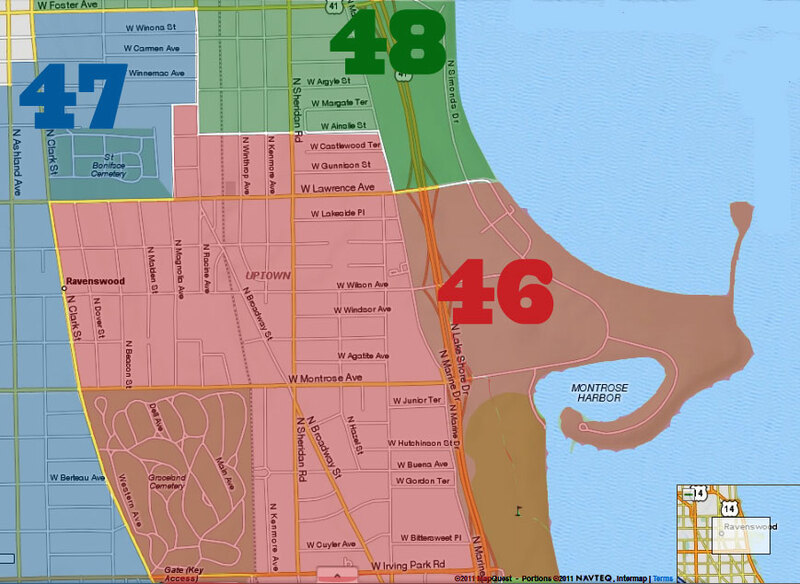 Easy access via the Red Line (Argyle stop) and the #36 Broadway bus. 10am to 5pm $5 admission."